What is a Sweeper in Soccer and How to Play Sweeper position? 1 What does a sweeper do in soccer? 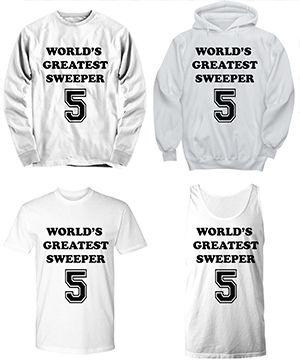 5 Is the sweeper still relevant in modern day soccer? A sweeper in soccer definition is basically a player who is positioned in the defensive backline and is responsible for countering any opposing attackers who may get past the other defenders. The term 'sweeper' is more of a colloquial definition that was coined in the late 1800’s to refer to the job of ‘Sweeping up’ any attackers that break away from the other defenders. What does a sweeper do in soccer? A sweeper’s role in soccer is similar to that of a free safety in American Football and is positioned slightly behind the behind the fullbacks. However, the sweeper position is not static, so, if you are appointed this defensive role you are free to roam within range whenever necessary. When playing the sweeper position in soccer you should be capable of anticipating moves by attackers and making contact to steal away the ball from them. You will also be expected to increase depth and field coverage in order to push up the ball and support attacks. Another vital role of this position is to be like an on-field coach and direct players since the sweeper position is deep and you have a good view of the entire field of play. The role of the sweeper in modern football has been debated for a long time with some coaches considering it a must-have while others perceiving it to be obsolete. In recent time times the three classic 3-defender formation seems to be making a comeback after a decade long hiatus. The most notable advocates of this formation are Chelsea’s Antonio Conte and Manchester City’s Pep Guardiola. 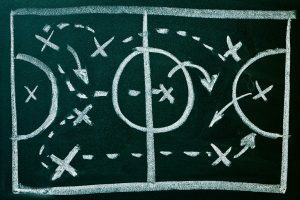 Defenders are an important factor in any team formation and the game has evolved such that the backline is the fulcrum of any potential attacking set pieces. This is why the back-three style of play is making a comeback as it gives a numerical advantage to deep-lying center back playmakers. This is the essence of the modern day sweeper. Typically a 5-3-2 formation, suits a more defensive team shape, with the sweeper sitting neatly behind the two Centre Backs and wing backs. A sweeper can be used with many different formations, but the next popular is the 4-4-2 with the sweeper behind a defensive line of 3 players. The back-three sweeper system was also used a lot in the 70’s and 80’s (usually 3-5-2) for basically the same reasons. The three-man backline allowed for a ‘spare player’. The sweeper would often be free to get the ball in deep positions then make forward runs that instigate formidable attacks. One of the most notable players in history to be positioned as a skipper was German legend Franz Beckenbauer. He mastered this position very well and helped his country win the World Cup in 1974. He fitted the role of sweeper well due to his focus, dominance and leadership skills. He is widely acknowledged as one of the players who revolutionized the role of the modern day sweeper or libero (a player who does not have to mark a particular opponent). Watch this clip to see an ideal demonstration of the sweeper role by Xavi Alonso... notice how he is always available for the ball and is the first to pounce on any scraps! Is the sweeper still relevant in modern day soccer? During the turn of the millennium, the back-three system had largely been replaced with systems such as 4-2-3-1 and 4-3-3. This meant that more focus was put on the flanks and midfield thus minimizing the need for a traditional sweeper. This was the case for most of the 2000’s, however, Antonio Conte (who was the Juventus coach at the time) started to popularize it again during the 2011-2012 season by adopting the 3-5-2 formation. When playing in this position you need to be the last man in defense and try as much as possible to move laterally behind the rest of the defenders. You should also make sure that you do not stay too close to the sidelines. Always close down any gaps that are left by the other defenders and anticipate any other slip ups that may occur along the backline. As a sweeper you are not assigned specific players to mark, so you can periodically move forward especially during set pieces or for corner kicks on the opposing side. Always remain perceptive on the field and be confident when handling the ball. Always remain focused because you will be required to make split-second decisions for both defensive and offensive actions. Are you a sweeper or would like to play in this position? If so, I hope this article has shed some light on the roles and history of the sweeper position in soccer. Is the role of sweeper still alive in modern day soccer? What skills do you need to become a great soccer sweeper? Who's the best sweeper past and present? Thanks for the post Soccer Coach. That has taught me a lot as I often play as a sweeper when I play for my Soccer Team. I would widely recommend this drill to everybody. Thanks!!! Good to hear it! Hope there’s somethings from the article that you can take into your game and make you the next Beckenbauer!! !